In the artic regions of the world sleddogs have been used for hundreds of years. 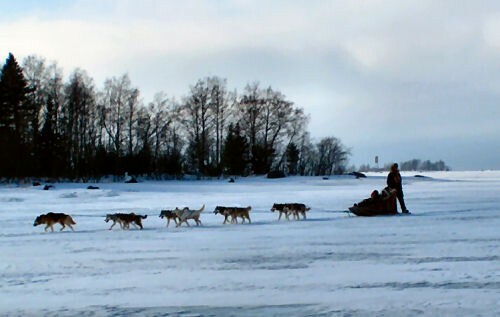 Husky Safaris can offer you a timeless experince far from the hurry of modern lifr. A dogsled tour on the icefields is a "nature experince" of silence and winter. We can arrange tours lasting 1 hour to one week including necessary equipment.